The greatest day of the county season is almost upon us as four sides head to Edgbaston on Saturday to do battle for the NatWest T20 Blast crown. The four sides chasing glory are Northamptonshire, Lancashire, Birmingham and Hampshire. That means in a strong renewal we’ve got the last two champions, last year’s beaten finalists and a side who are appearing at their sixth successive Finals Day, so this line-up really is as good as there is. 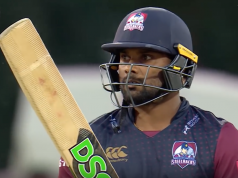 Not only have we got four top sides but we have some excellent individual talent from overseas too with the likes of Jeetan Patel, James Faulkner, Fidel Edwards and Shahid Afridi all in action, so we’re set up for a belting conclusion. The opening semi-final sees Northamptonshire taking on Birmingham for the third time this season. The Bears have won the first two meetings but it is quite rare that a side beats another team three times in the one year. I don’t fancy Northants to pick up the win simply because of that, however; I think they can play with real freedom here, which as we saw in the quarter-final suits them perfectly. For me the best bet of the entire Finals Day comes in this match and that is Northamptonshire to hit the most sixes. Northants have big hitters all the way down their line-up and the sheer fact that Shahid Afridi is back will send the odds compilers heading for the hills with worry. Birmingham don’t hit many sixes at the best of times. They have only hit 62 in 15 matches and Brendon McCullum accounted for 17 of them. 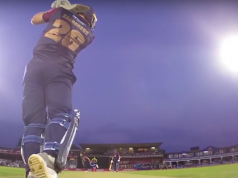 He’s absent here so Northants, who have 84 in 14 completed knocks – of which at least a couple were rain-affected innings – should have the big-hitting edge in the first semi. The second semi-final is a repeat of the one from 12 months ago as Hampshire take on Lancashire. The Red Rose county triumphed last year and they look good value to do it again. We saw they can win the tight matches when they held their nerve in the quarter-final at Kent, whereas Hampshire have been found out at the death a couple of times not least by that wonderful Alex Blake knock for Kent earlier in the campaign. Lancashire have Jos Buttler back for them here which has to be a boost and if they can keep the Hampshire openers quiet then another semi-final win will be well within their grasp at a surprisingly nice price. As for Finals Day as a whole, anyone looking for a bet on who will win the competition can do a lot worse than take the 4/1 on Northants winning the tournament again. They look the most balanced side left in the tournament and know how to get it done from 2013 when they blitzed all before them. Recent history suggests the first semi-final is a good place to be so that 4/1 starts to look increasingly good value. I fancy them to play Lancashire in the final and you can get 10/3 on that outcome which is another nice price going into the last day of the competition. Another market worth looking at comes in the shape of the Top Finals Day Batsman. Anyone could have a day out and land this market but you would think those who make the final and get two digs will have a better chance than anyone else, so, logically, I’m looking for a Northants or Lancashire player here. Jos Buttler is one of the best in the county game in this format. He’s only actually played two matches for Lancashire in the tournament this season but he’s made 71* and 53 in those matches so if Lancashire get to the final you would think he’s a solid runner over the course of the day. 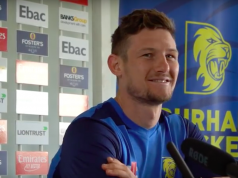 He’ll bat in the top four for Lancashire which should give him plenty of time at the crease and at 16/1 he can outscore them all on Saturday.